Fr Patrick was commissioned as the 16th Rector of Fremantle on Sunday 6th August 2017. He came to us from the Church of England, via Wollaston Theological College here in the Diocese of Perth where he served in the role of Vocations Advocate. Fr Ron arrived in Western Australia after serving in both Belize and in the Church of England for much of his ministry. He served in rural Bunbury Diocese, before moving to Fremantle where he is 'actively' retired. Fr Ron divides his time between St John's Fremantle and St Peter's Palmyra. 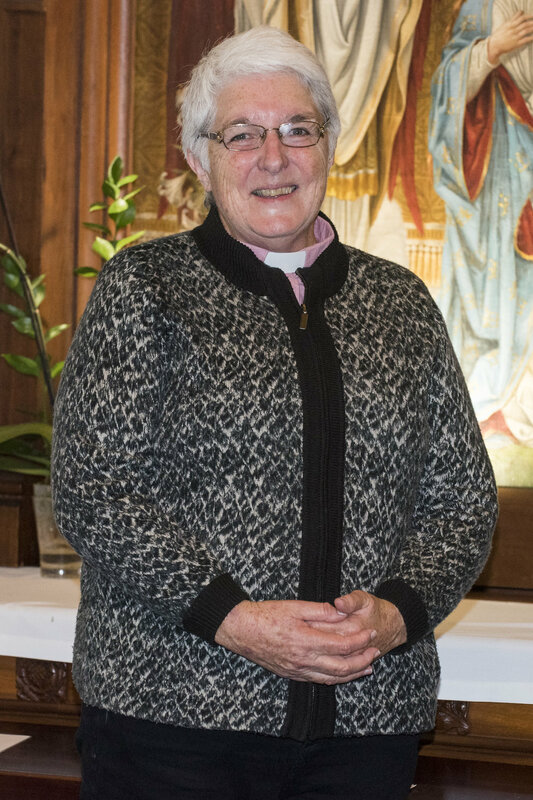 Mother Robin Anne brings a wealth of experience from both parish ministry and a career in law. She is an Honorary Fellow of the Law School of UWA and is largely based at St Peter's Palmyra. Dr Daniel Masmanian brings a talent for both composing and directing music to his role at St John's. As organist he plays for regular services and for weddings and funerals. Giselle is your friendly point of contact in the Parish Office - a role that she is rapidly making her own after arriving in February 2018! Whether you're in touch with the office by phone, email or in person you're guaranteed a friendly welcome!